Whether by choice or because of our jobs, most of us sit for a large part of the day. Being in a seated position for so long causes the hip flexors (psoas, iliacus) to shorten and tighten, which is often the root cause of lower-back pain. Many of us actually make things worse by going to the gym and doing abdominal exercises like sit-ups and leg raises that require a lot of work from the hip flexors. 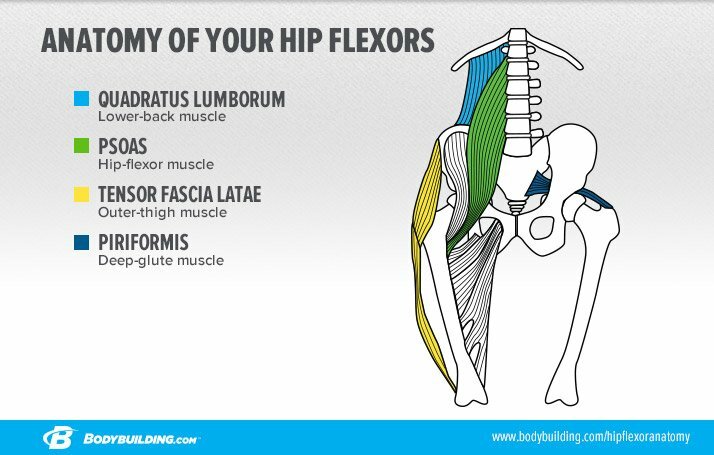 You might not know it, but doing exercises that flex the spine can make your hip flexors even tighter and your lower back feel even worse. That being said, there are a lot of people that can—and do—get good abdominal development from sit-ups. But because we already have tight hip flexors, I don&apos;t think sit-ups are a good idea for most of the population. The main function of the core is not to curl your body up into a little ball, anyway. Its purpose is to stabilize the entire body while in motion. To train our abdominals properly and without pain, we need to keep their functionality in mind. Now, hang on all you #aestheticsforever boys. No need to blow a gasket. Just because we&apos;re training with functionality in mind doesn&apos;t mean we&apos;re forgetting all about your six-pack. Core stabilization using antirotational and isometric exercises that stimulate the deep muscles of the abdominal wall will lead to a tighter, trimmer, more pleasing waistline. So, stop doing those damned sit-ups and try this workout instead! 4 sets of 15 sec. Workout takes 60 minutes or less. In order to utilize and train your midsection properly, you need it to move properly. That means you should practice mobilizing the thoracic spine (upper and middle back) and loosening the hip flexors. I like to have my clients do 3 sets of 8 crunches on the foam roller. Start with the roller at the hips and move it up the back with each crunch. Crunching on the roller will help you feel the proper movement of the spine during contraction. It&apos;s also wise to roll out your T-spine and your hip flexors for a few minutes and then spend some time stretching. 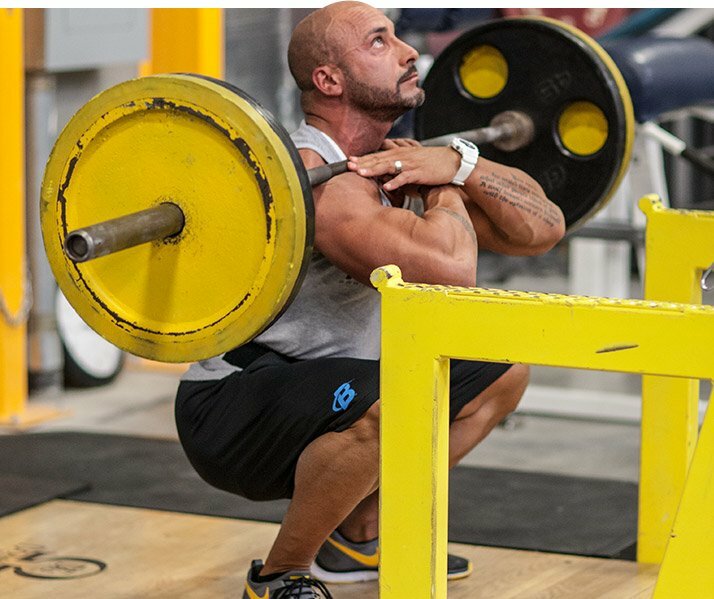 Just a few extra minutes of mobility will open up a whole new world of gains! Use a landmine attachment or simply stick one end of a barbell into a corner. Hold the end of the barbell with your arms straight out and keep the hips locked in a forward position. Start with the bar above your head and then, using only your shoulders, bring the bar down to your hip. All the rotation should come from the shoulders, but you&apos;ll feel the twist in the obliques and abdominals. Keep your midsection tight in order to control the transverse abdominal and contract your muscles as much as possible. This exercise is all about control and moving through the motion cleanly and without jerking. Kneel on a pad with your body parallel to a wall. The knee touching the ground should be farthest from the wall. Keeping your hips forward, twist your upper body to throw the ball hard against the wall. In order for your shoulders to do most of the twisting, you&apos;ll need good mobility in your thoracic spine. The catch from the rebound should be forceful enough to imbalance your body and force it to stabilize. 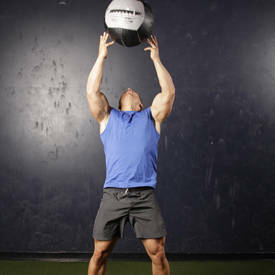 Catching the ball will also challenge the antirotational properties of your abs. 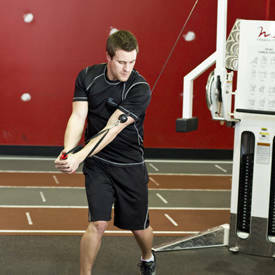 Bands are great tools because they cause so much instability and can be used in various movement planes. 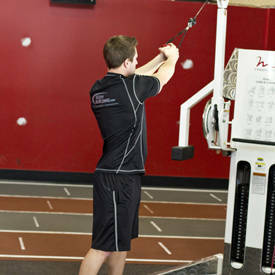 To perform this exercise, attach a band to a rack or something you can pull against. Kneel with your far leg on a pad. Pull the band across your body with your arms perfectly straight at chin level, and hold the end position for a count of three. After the count you can return to the starting position in a slow, controlled manner, or increase the difficulty by raising your arms above your head and then returning to starting position. Set yourself in a normal side-plank position. But instead of putting your free arm on your hip, grab one end of a band. Pull the band toward your body and hold for three seconds. Your bottom oblique will contract like crazy trying to fight the imbalance. A slow, controlled set of 12 will have you screaming for it all to end. Finish your ab workout with 3 sets of real planks. By real, I mean set up in plank position, protract the shoulder blades to push the elbows into the ground, and posteriorly tilt the pelvis so that you can feel your lower abs contract. Your glutes and thighs should be fully contracted as well. Blow out as hard as you can to remove all the air from your lungs so you can contract the diaphragm and force the transverse abdominal wall up. Squeeze everything in your body as tightly as you possibly can and hold for 15 seconds. If you can hold this position for more than 15-20 seconds, you simply aren&apos;t squeezing hard enough! Building your abs doesn&apos;t have to take a lot of core isolation work. By making small changes to a few exercises, you can add a tremendous amount of core stabilization work. The easiest way is simply to do your normal exercises standing up instead of sitting down. On shoulder days, use standing strict presses and even push presses to engage the entire midsection, including the lower back. Loading the spine at the front of your body creates a tremendous amount of tension and forces your body to use the entire midsection for stabilization. I also love utilizing front squats and heavy carries in my normal routines. Loading the spine at the front of your body creates a tremendous amount of tension and forces your body to use the entire midsection for stabilization. You can also try carrying a plate over your head as you lunge. Now get out there and build a solid six-pack that will actually make you a better athlete! Check out Optimum Nutrition&apos;s complete supplement lineup! Go Now!